» Need Rs 6 Crore To Release That Film? Macho Hero Gopichand’s Aaradugula Bullet had scheduled for a grand release today (June 9), but the theatrical release was halted. All the shows were also cancelled, and it is disappointing news for Gopichand fans. The main reason for the postponement of the movie is due to some financial issues. If grapevine in film circuits is to be believed, Gopichand and Nayanthara’s Aradugula Bullet needs around Rs 6 Crore to see the light of the day. Apparently, the Chennai-based financiers who initially funded the film, is expecting Rs 6 Crore (including interests) to settle the issue and thus give clearance to the film’s release. As the film’s producers have already invested a lot than the regular and budget has shot up beyond the hero’s market, the makers have given up and wanted to just release it. Although producers requested the financiers to release the film and take the share in its collections, the financiers are not willing to do so, since they too have little hope of recovering their monies and hence demanding the total amount in advance for the film to be released. Macho Hero Gopichand’s Aaradugula Bullet had scheduled for a grand release today (June 9), but the theatrical release was halted. All the shows were also cancelled, and it is disappointing news for Gopichand fans. The main reason for the postponement of the movie is due to some financial issues. Producers are now in no mood to put in another Rs 6 Crore and this is where the film is said to have stuck. Many in film circles are not hopeful that the issue would be resolved soon. 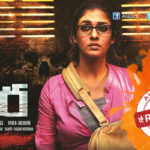 Already, hero Gopi and heroine Nayanthara have cooperated a lot by cutting down their fee. Yet nothing seems to be working. Looks like, the producers may finally settle with selling Satellite, digital rights if not a theatrical release. Even this would be a highly loss venture. So, producers are now weighing various options to get this issue resolved. Even the big names behind the project couldn’t do much but hoping to see it solved.